Trusting in his nose, Hix soon discovered two kittens in poor shape. 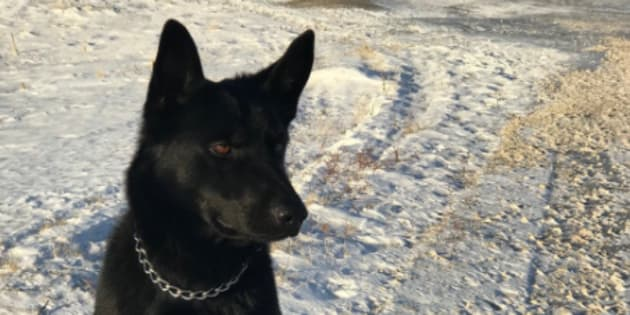 An RCMP service dog named Hix has earned a hero biscuit for helping save two frozen kittens in rural Manitoba. RCMP say Hix and his handler were exercising on a dirt road when the dog picked up a scent. Trusting in his nose Hix soon discovered the two kittens in poor shape. Mounties say the kittens have been given a warm place to sleep, food and water and will soon get a vet check. In the meantime, Hix is getting lots of online belly rubs. "Beautiful dog, Good job Hix, He's a very handsome hero and Great job Officer Hix," read some of the messages on Facebook Tuesday.